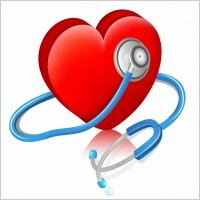 February is Heart Month so here is my challenge …..
February is synonymous with being associated with the heart. Here in Canada, the Heart and Stroke Foundation does it’s major fundraising campaign in the month of February. Click here if you are interested in reading more about Heart Month. Swapping out one poor food choice for a healthier one- ie: fruit for a snack instead of Oreo cookies :o) – I’ll miss you my dear friends. Take fifteen minutes of quiet time for myself, no interruptions. This one might be a challenge, believe it or not, as it seems every minute of everyday is scheduled for something or other – but I sure am going to try! Of course my other favorite thing about February is that it contains one of my favorite days of the year…. As a reminder the Valentine’s Day Tablescape Challenge is still out there and it is not to late to participate. I will start posting pics the week of February 10th. Click here for all the details! February is shaping up to be A Wandaful Thing!! This entry was posted in Uncategorized and tagged challenge, Challenges, cheap, crafts, creativity, DIY, easy, happy, inexpensive, living, recycle, repurpose, reuse, self-help, Valentine. Bookmark the permalink. 1 Response to February is Heart Month so here is my challenge …..
I’m stealing your idea for 15 minutes of quiet time. A lot of people pledge to do more, but it takes some guts to do less.